Tubie – Although some use this word to describe a person with a tube, I prefer to use “tubie” to describe the tube itself. It can refer to an ng-tube, an nj-tube, a g-tube, a j-tube, a gj-tube, or even a central line used for TPN or other nutrition. All of these will be addressed further in my next post on the types of tubes, what they do, and who might have one. I want to note that I realize it’s commonplace for some to refer to tubie-users as “tubies” themselves; as a personal preference, I choose not to define someone based on the adaptive equipment they use, but rather on who they are despite that adaptive equipment. PEG tube (or a PEG-J tube) – A PEG tube generally refers to the method by which the tube is inserted (Percutaneous endoscopic gastrostomy). This is performed without a second incision point (the only incision is for the tube itself). Button – Although “button” is technically a brand-name (Bard), the term generally refers to a low-profile tube. Generally, a longer tube – which extends about 6 inches outside the body and sometimes called a “PEG tube” – is inserted first. Then 4-6 weeks later – after some healing of the stoma – that tube can be replaced by a tube that ends in a small “button” just outside the body. The button then attaches to removable extension tubing that allows the user to disconnect to shower, swim, or just have some time off. MIC-Key – The MIC-KEY – pronounced like the famous mouse – is one type of button. The other commonly used button is the Bard Button which now lends its moniker to all low-profile tubes. Matthew shows off his MIC-key "button"
Formula – Most tube-feeders are fed with some sort of formula, similar to an infant’s formula. Some are dairy-free or soy-free to help with various intolerances and allergies. They each have different calorie and fat content and many need to try multiple formulas to find the best for their particular needs. Elemental Formula – An elemental formula is generally amino-acid based. It is food broken-down into the most elemental pieces it can. It is generally low in fat and fiber. Some – myself included – cannot process food unless it is (essentially) pre-digested. Elemental Formulas are generally far more expensive so milk- or soy-based formulas are tried first. Blended Diet – The idea behind the blended diet is to put a home-cooked meal through the blender, strain it, and then ingest it through the tube. This doesn’t usually work well for those who have intestinal dysmotility, but can work wonders for those with swallowing difficulties. The difficulty with a blended diet is ensuring that all vitamins and minerals are covered so it’s important to work closely with a nutritionist and possible supplement the blended diet with one of the formulas above. TPN – I’ve talked a bit about TPN already (I’m on it), but here’s a little more. TPN (total parenteral nutrition) is IV food. This is for those who cannot tolerate food (or enough food) in the GI tract. TPN has 4 major components: (1) lipids, or fats; (2) sugars (usually in the form of Dextrose); (3) essential amino acids; and (4) vitamins, minerals, and electrolytes. These are all mixed up in a bag of fluids that can run for part or all of the day. TPN is a life-saver for some, but doesn’t come without some drawbacks. TPN can be incredibly taxing on the liver. Long-term TPN-use often leads to liver failure. 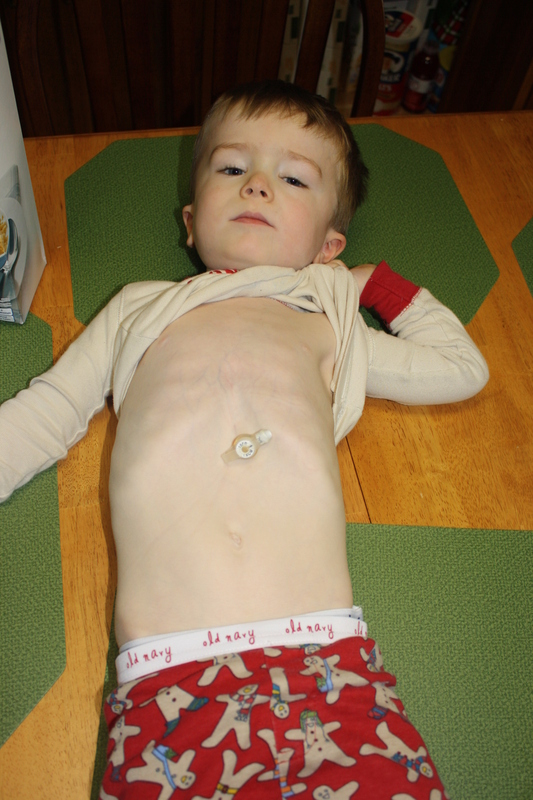 TPN also requires a central line (an IV with direct access to the heart – more on that tomorrow! ); a central line means that one is at an increased risk for sepsis, or infection of the blood stream. TPN is usually used as a last resort, for those who have already tried all other medical interventions, including tube feeds and medications. Stoma – The “stoma” is the opening through which the tube runs. Those with a feeding tube have a gastrostomy (an opening to the stomach), a jejunostomy (an opening to part of the small bowel), or both. Some with gastrointestinal dysmotility also have an ileostomy, colostomy or cecostomy for other uses. Granuloma – A Granuloma is a frequent roughly-spherical growth around the stoma and can become problematic for some. A granuloma is formed when the immune system starts producing a mass of immune cells in attempt to protect itself from bodies that it perceives as foreign but is unable to eliminate (like a feeding tube). Similarly, granulation tissue can also form around the stoma. This tissue is vascular (or bloody) in appearance and incorporates not only immune cells (like in the granuloma) but also cells involved in vascularization and the extracellular matrix. I know that explanation is somewhat technical, but the take-away points are: (1) they are created for the same reason (healing); (2) they two have a slightly different cellular make-up and look differently; and (3) both can become a nuisance to someone with a stoma. Venting – Many people with tubes rely on venting for relief from pain and nausea. So what is venting? Well, instead of air and stomach contents (aka vomit) coming out of one’s mouth, relief can come from venting these substances through the tube. For those dealing with chronic dysmotility, distension, and vomiting, this can be incredibly relieving. Trust me, it’s much more pleasant coming out the tube. Bolus – You may hear of “bolus feeding” or getting a “bolus” of some substance. A bolus is essentially a relatively large amount of a certain substance given over a short period of time. For instance, someone who has low levels of potassium would need an intravenous (IV) bolus of potassium to raise those levels. 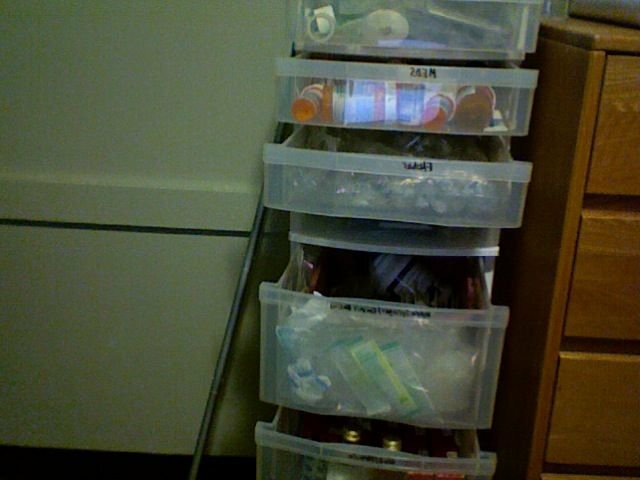 For someone who bolus feeds, they receive all of their food in “meals.” For those with dysmotility, bolus feeds are often not tolerated because that large amount of food is unable to move through the system. These individuals benefit from continuous or pump feeds, which entail a smaller amount of a substance being delivered over a longer period of time. 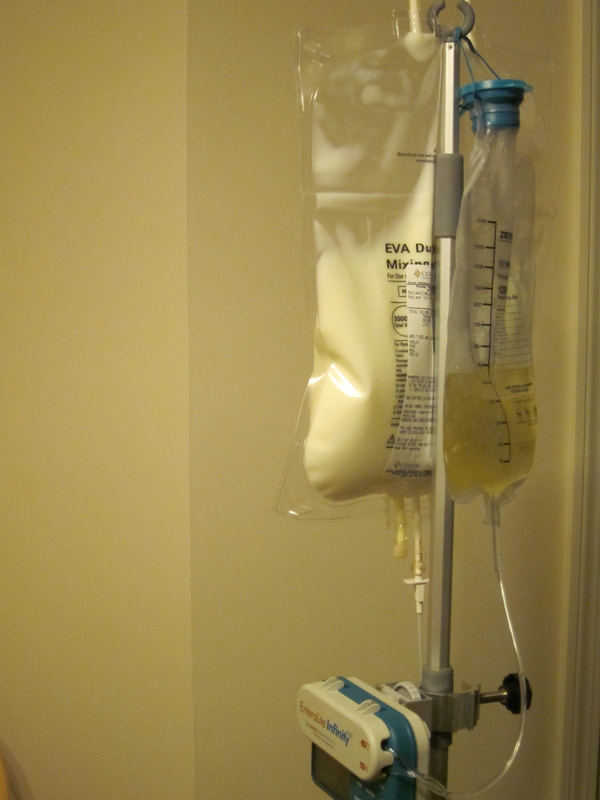 The Backpack – Especially for those on continuous feeds, being hooked up to an IV pole all day would be a nightmare. *Insert backpack here. * A backpack can be bought or adapted to hold all pumps, feeds, and supplies so that you are able to continue with your mobile life while being hooked up to TPN or tube feeds. Some backpacks are made specifically for pumps, but these can be expensive (like the “Super Mini” made by Zevex) or bulky (like the one I got from my infusion company). The solution? Adapting a backpack for your needs is often the best solution. Camelbaks make for an easy convert and they make Camelbacks for Kids, too! Pumps – There have been pages upon pages written about pumps and which are the best. The pump allows for a constant and controlled flow of formula, in contrast to bolus feeding. I personally only have experience with the Kangaroo Joey and the Zevex Infinity for feeds and the CADD Prizm for TPN and fluids. I can tell you that each pump has it’s benefits and drawbacks. Some pumps are smaller than others whereas the additional features on the larger pumps can be extremely useful. Button Buddies – These have been my favorite find in the tubie world. 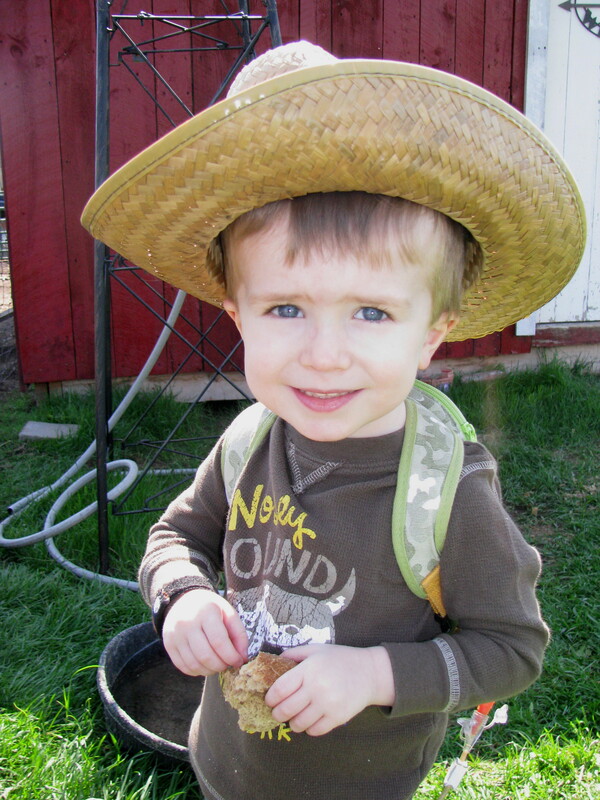 Button Buddies are made by a mom who has a son with Mitochondrial Disease. They keep the area around the stoma clear and comfortable while looking a whole ton cuter than the medical dressing. I have at least 20 in various designs and swear by them. As an added bonus, they seem to keep the granulation tissue to a minimum! Well, that’s all I have for now. And if you feel I’m missing something, please do add on in the comments! You did a great job educating about tubie terminology and what it means to have a tubie. Thanks so much for writing this. I’m going to repost it on facebook so my friends can have a better understanding. I have a g-tube, j-tube and central line and use elemental formula feeds and TPN (like you). thanks for sharing! I have to express some thanks to this writer for bailing me out of this incident. Because of surfing around throughout the search engines and obtaining basics which are not beneficial, I was thinking my life was well over. Being alive minus the strategies to the difficulties you have resolved as a result of your article is a crucial case, and the ones that could have negatively damaged my career if I had not come across the website. Your main training and kindness in maneuvering all the details was very useful. I am not sure what I would’ve done if I had not come upon such a thing like this. I can at this moment look forward to my future. Thanks for your time very much for your reliable and amazing guide. I won’t think twice to suggest the sites to anybody who requires guide about this subject.